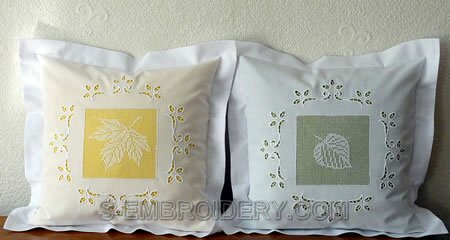 The set includes 4 autumn leaf freestanding lace crochet machine embroidery designs and a single cutwork lace border embroidery. 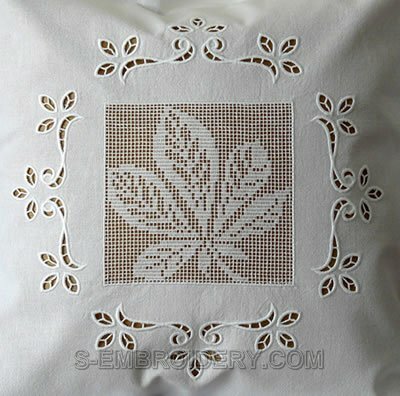 An example of using the crochet squares with the complementing cutwork lace is shown on the images below. 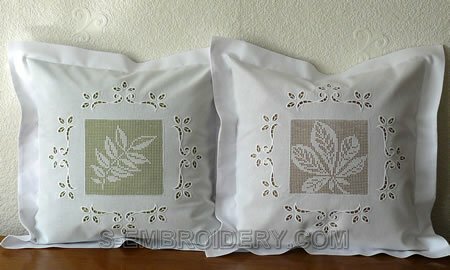 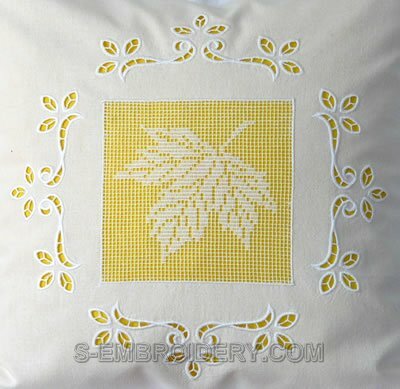 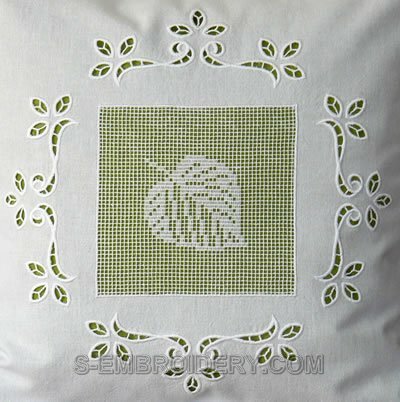 You receive 5 machine embroidery files as well as PDF files with design information and step-by-step instructions for decorating a pillow case with crochet and cutwork lace embroidery. 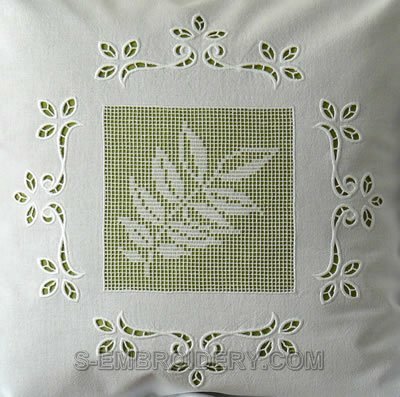 Note: The designs will NOT fit in 150x200 hoops.